Dr. Bankson received her medical degree from Boston University. She completed her internship and residency in Family Practice at the University of North Carolina at Chapel Hill. 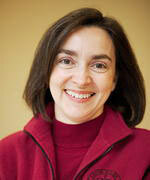 She is board certified in Family Medicine and has been in clinical practice in Bellevue Washington since 1990. She worked with Providence and Swedish medical systems for 17 years. She now sees patients at the Bellevue Clinic. She joined our team of travel medicine consultants in 2008. She is a member of the International Society of Travel Medicine.